This section showcases the talents of Italian and Italian Chefs whose contribution to the preservation of our heritage is reflected in their dedication to their craft. 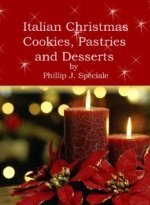 For generations Italians have been influential in all aspects of the American way of living. Americans of Italian decent and Italians living in America have positively contributed to the development of our country in every major industry. The arts, education, sports, entertainment and business industries, just to name a few, have greatly benefited from their achievements. In my opinion no industry has benefited more from Italians and Italian Americans than the culinary industry. As people from different regions of Italy immigrated to different regions of the United States they brought with them a part of their home. Italian food is not just an object. It’s a feeling. It’s an emotion and it’s an identity. It defines who we are as citizens of this great country. I am not one of these Italian Chefs. 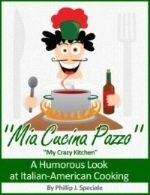 I'm an Italian cook who cooks for his family and friends just like millions of Americans do every day. I’m just very grateful to be able to share my experiences through my website. But these Chefs are visionaries and trend setters. They use a plate like an artist uses a canvas, They take basic ingredients and bring them to the next level and they inspire us to try something new, different and exciting. What Armani and Versace are to the fashion industry, these Chefs are to the culinary world. They instill old world traditions into our everyday modern lives. They remind us of the meaning of food, family and friends. And, they truly embrace our Italian culture and our heritage. From the neighborhoods of Chicago, to Arthur Ave. in the Bronx, from Philly’s 9th Street Market to The Hill in St. Louis, from the Italian Village in Columbus, Ohio to the North End in Boston, from Little Italy in New York City to the bright lights of Las Vegas, Baltimore, New Orleans, etc.. we salute our Italian Chefs who’s contributions and dedication to Italian cuisine has taught us to truly appreciate our heritage. 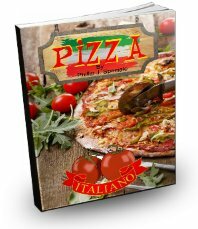 In this section you will find the Chef’s biography and one recipe that you can try at home. I’m looking forward to this section just as much as you are. Believe me everyday will be a surprise. For years Piccolo Songo’s Chef/Owner Tony Priolo has been honing his craft. His food and his creative style has been deemed "One of a Kind" by many in the industry. He has been developing dishes that can only be created through his dedication and passion for Italian food. Chef Pat Marone’s contribution to the culinary industry has spanned over 25 years. He has been associated with numerous five star restaurants including Naples 25, located in the Gold Coast of Long Island’s premier luxury shopping center, Americana Manhasset. What can be said about Chef Nick Stellino? He was once quoted as saying, “When Italians talk about food, we are talking about our souls”. This pretty much sums up his passion and commitment to the art of Italian cooking. Ever since Executive Chef Giuseppe Tentori came on the scene at Boka, Chicago’s culinary community has never been the same. In an ever changing industry, Chef Tentori presents his Mediterranean influenced, American cuisine with style, class and enthusiasm. From Caesars Palace in Las Vegas beams a shining light named Carla Pellegrino. Her creative passion for the art of cooking has taken the infamous “Rao's of New York's” menu to the next level, making “Rao's at Caesars Palace” one the best Italian restaurants in the country. Chef Luca Corazzina's modern take on Italian classic cuisine is widely known here in Chicago. His recipes for pasta, meats and seafood are simply elegant and his commitment to using only quality ingredients reflects the taste of his dishes. Since founded in 1944, Patsy's Italian Restaurant in New York has had only three Chefs in the kitchen preparing some of the most delicious Neapolitan dishes. Pasquale “Patsy” Scognamillo, his son Joseph and his son Sal have established a type of restaurant that raises images of family, friendship and tradition. When Chef Gianfranco Chiarini cooks, he creates a work of fine art. Using a plate as his canvas and food as his paint, he produces culinary masterpieces that thoroughly please the eye and the palette. His modernistic style of fusion cooking has been an inspiration to Chefs all over the world. It has been said that people who can’t do, teach. This is definitely not the case for Chef Thomas G. Ciapi who is capable of doing and teaching. With almost thirty years experience in the industry, Chef Ciapi is an Executive Chef, Certified Culinary Educator, Certified Culinary Administrator and an inductee in the acclaimed American Academy of Chefs. 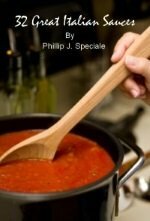 Behind ever Italian Chef is a great story. 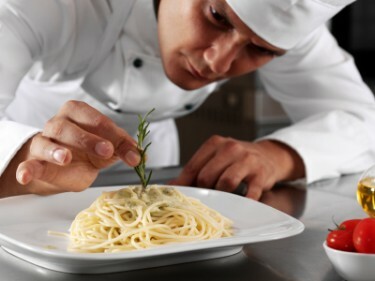 Step by step, Chef Franco Lania has learned to develop his craft and techniques by experiencing other countries and cultures.